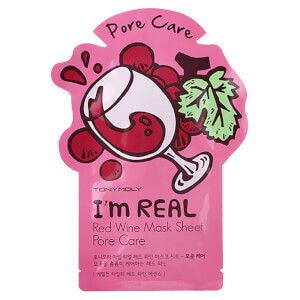 Treat your skin to the I'm Real Sheet Mask in 'Charcoal' from South Korean cosmetics brand, TONYMOLY. The three-layer, essence-soaked pulp sheet is infused with a cocktail of natural ingredients to leave skin feeling refined and revitalized. 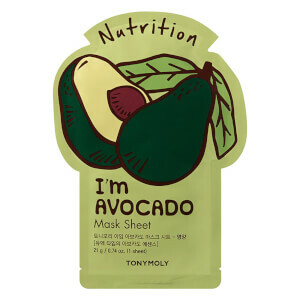 An effective delivery system for ingredients, the sheet mask adheres comfortably to skin, enabling optimum penetration for maximum results. Enriched with Charcoal extract, the water-type essence helps to draw out impurities and toxins to leave pores feeling clean and decongested. Free from parabens, benzophenone, triethanolamine, talc and color additives. 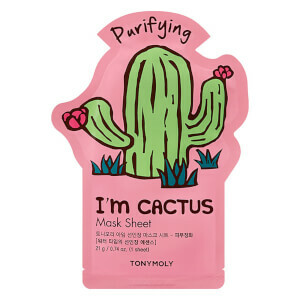 Apply mask on clean and towel dried face. Keep mask on face for 20-30 minutes. When time is up, remove mask and gently pat excess essence onto face and neck until fully absorbed. Water Alcohol Water Glycerin Methylpropanediol Glycereth-26 PEG/PPG-17/6 Copolymer Tremella Fuciformis (Mushroom) Extract Charcoal powder Sodium Hyaluronate Hydrolyzed Collagen Allantoin Panthenol Carbomer Tromethamine PEG-60 Hydrogenated Castor Oil Hydroxyethylcellulose Hydroxyacetophenone Chlorphenesin Disodium EDTA Fragrance.